When you work in the media business, there’s a lot of pressure to have healthy, glowing skin. You’re hitting the pavement representing your brand at countless dinners, board meetings, and celeb interviews, so it’s crucial to look the part. The only problem? All those after-hour events and early meetings leave little time to actually devote to caring for your skin. 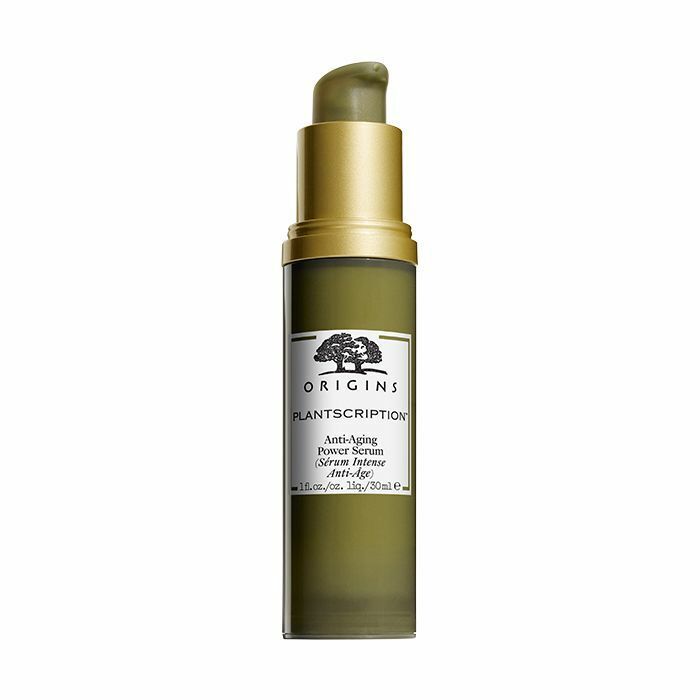 Knowing our readers face this same issue in their own busy lives, we sat down with three editors across fashion, beauty, and lifestyle (all with some pretty killer skin, mind you) to get their skincare secrets, confessions, and favorite products, including Origins Plantscription Anti-Aging Power Serum ($59). One major takeaway? It’s not how much time you spend caring for your skin that counts, but rather committing to a routine that works for your unique skin type and lifestyle that ultimately leads to transformation. Read on to learn more about our editors’ skincare routines. As the editorial director of Byrdie, Faith’s an expert on all things beauty, and she’s tried her share of crazy skincare products and trends. So we asked her—when you’ve tried it all, what do you stick with? BYRDIE: Walk me through your typical skincare routine—what do you use, and why? FAITH XUE: As a beauty editor, I’m constantly testing new products, so my skincare regimen is always in flux. However, some staples are a gentle, creamy cleanser; a hydrating essence; an exfoliating toner; a brightening or hydrating serum [like Origins Plantscription Anti-Aging Power Serum ($59)]; and moisturizer. At night, if my skin has been looking dull, I’ll add a face oil. BYRDIE: How long will you try something to know if it really works? FX: I’ll try a product for a couple of weeks so I have a chance to see if it’s really working or if my skin is just reacting to a change in product. For instance, this serum shows results after using it for just two weeks; but you need to stick with it long enough to realize that. BYRDIE: What are your biggest skin sins? BYRDIE: What has speaking to so many skincare experts over the years taught you about your own skin? FX: The biggest lesson I’ve learned in the industry is that hydration is never the enemy, even if your skin is oily. Now I use products that are gentle and hydrating, and when I find a product that works—I commit to it. I’m pretty in tune with my skin and know how much it can take, and I stay away from any products with harsh ingredients. Gabrielle is an editor at MyDomaine and the founder of the lifestyle blog Savvy Home, but she’s also our number one source for travel inspiration. (Her Instagram account is essentially our dream board.) Here she spills her secrets for taking care of her skin on the road. BYRDIE: How would you describe your skincare philosophy? GABRIELLE SAVOIE: The better you are to your skin, the less makeup you’ll need. BYRDIE: I love that. You travel quite a bit—does that affect your skin at all? GS: I travel two to three times a month, and I’ll definitely notice a difference in my skin, especially after long flights. It gets sensitive, oily, and puffy around the eyes. And if I’m changing climates drastically, I’ll start to break out. So when I get home, my routine is centered around getting back to more even, smooth skin. BYRDIE: What do you do to combat that? GS: The nights when I’m actually home and have the time to put on a face mask are few and far between. So I try my best to keep a strict morning and nighttime skincare routine. I use a gentle cleanser, this Origins serum, vitamin C products, and SPF every day, and I exfoliate dry patches a couple of times a week. But if I don’t have time for a full routine, I’ll at least apply the serum and moisturizer. That part of my routine is the one consistent step I can make to keep my skin in check. BYRDIE: How do you approach anti-aging? GS: I always wear SPF, and I wear hats when I know I’ll be in the sun a lot. I’ve toyed around with the idea of getting injections for my furrow line, but for the time being, I’m learning more about natural ingredients that can give my skin the firmness and bounce I want. For instance, anogeissus, the key ingredient in my Origins serum, stimulates production of fibrillin (the protein that does all of the above) naturally. As a fashion editor, Gina has to balance running around fashion week in sky-high heels, 15-hour work flights to Hong Kong (tough gig, right? ), and the general skincare perils that come with living in New York City. Here’s how she deals. BYRDIE: Tell me about your skincare philosophy. GM: Appreciate and preserve what nature gave you—but should you ever need some extra assistance, that’s okay, too. BYRDIE: What are your primary skin concerns? GM: While they definitely include keeping the occasional pimple at bay, my main concern is preventative care. I want to do whatever I can to help my skin looks its best and be its healthiest right now, to prevent any major concerns down the road, from using plant-based serums that yield results, like Origins Plantscription Anti-Aging Power Serum ($59), to leading a healthy lifestyle. BYRDIE: You recently celebrated your 30th birthday. Is that something that’s been on your mind? I feel like we put a lot of pressure on ourselves and pay micro attention to our skin when we reach these “milestone” moments. GM: I was definitely feeling the pressure leading up to it. I knew it was silly to stress out about—I feel more comfortable and confident now than I ever did as a teen or in my early 20s—but still, it was almost an involuntary stressor. The best advice I got was from a friend who told me to write down everything I wanted to focus on, what I’ve accomplished, and what I’m excited to do next. That was incredibly helpful to get a checklist down on paper. BYRDIE: For a lot of women, that checklist includes nailing down a skincare regimen that works. Have you changed your skincare routine at all? GM: I believe in a holistic approach to skincare. I work out regularly, eat whole foods, try to get enough sleep, and drink a ton of water. (At least during my best weeks I do.) I wear sunscreen every single day, and I look for plant-based skincare products that have proven results. All these things make me feel my best and, not so coincidentally, make my skin look good too. It was really in my late 20s when I started actively thinking about what other ways I could help my skin look its best at 50, 60, 70—many years down the line. Ensure your skin looks its best at every age by shopping Origins.